Would you share the last thing on your phone with the public? 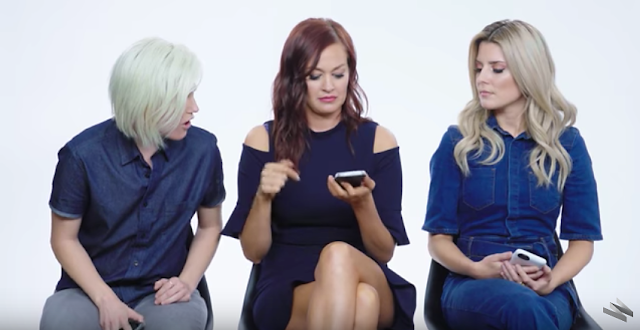 Grace Helbig, Hannah Hart and Mamrie Hart - Youtubers turned stars of the feature film Dirty 30 - show WIRED the last thing they did on their phones. Thanks to the WIRED channel on Conde Nast Entertainment's The Scene, the "Holy Trinity" unveils what they last Googled, how many alarms they have and their favorite emojis. Check out the video below.